Accessorize for New Year’s Eve! Have plans for a New Year’s Eve party but can’t afford a new outfit? Never fear! There are a ton of fun (and inexpensive) ways to spruce up a LBD or any ordinary outfit to feel fun and sassy for the big night. In a pinch for that perfect song but you don’t want to go to the iTunes store to buy it? Wish you could listen to it for free without doing something illegal? That is why I love Grooveshark. You can legally stream music instantly from your computer and they literally have almost any song you can think of. It is similar to Pandora but I think it is better as there are no commercials and you have more control over exactly what you want to hear. 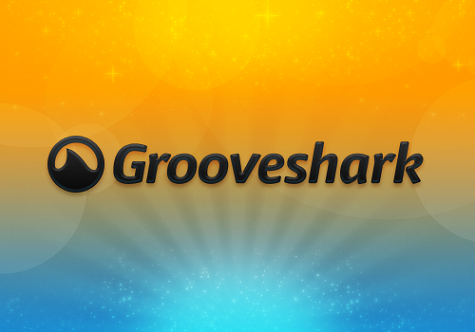 Grooveshark is free and easy to sign up. I just logged in through my facebook account. You can make your own playlists, listen to stations, and much more. Being a free streaming surface, you can’t actually save and download any of the songs. You always have to stream from the website. This is sort of a bummer for people who want to make the music portable. For this, Spotify is great. You can download the app on an iPhone or Android and take the streaming wherever you like! As expected, these free music options all have opportuities to splurge for a “premium account” where you get perks, better access, etc. I never opt to go this route as the basic functions are all that I need. At the end of the day, I’m a Grooveshark fan but do whatever works best for you. Happy listening! In a hurry with wet nails? Here is a quick way to speed up the drying process. I actually first read about this tip in one of my teenybopper magazines years ago (perhaps Seventeen?) and I still use it today! In a sink or large bowl, add ice and water. 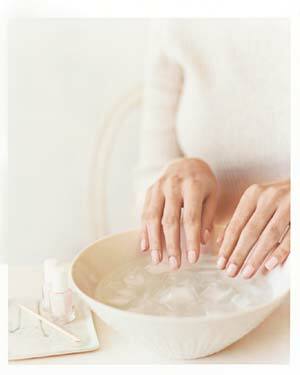 Stick your fingernails in the ice water and wait 2-3 minutes – then continue on with your daily activities! It seems like stress and the holiday season go hand in hand, right? Who’s skin really enjoys all of the stress and craziness? Not mine! I found an amazing and super easy face mask to help relax my skin and reduce any inflammation and brighten it all at once without any harmful chemicals! What makes this mask even better? It’s DIY and can be done for under $10.00! **Note** It’s always a good idea to do a small test of the mixture on a small patch of your skin to make sure you don’t have a reaction. 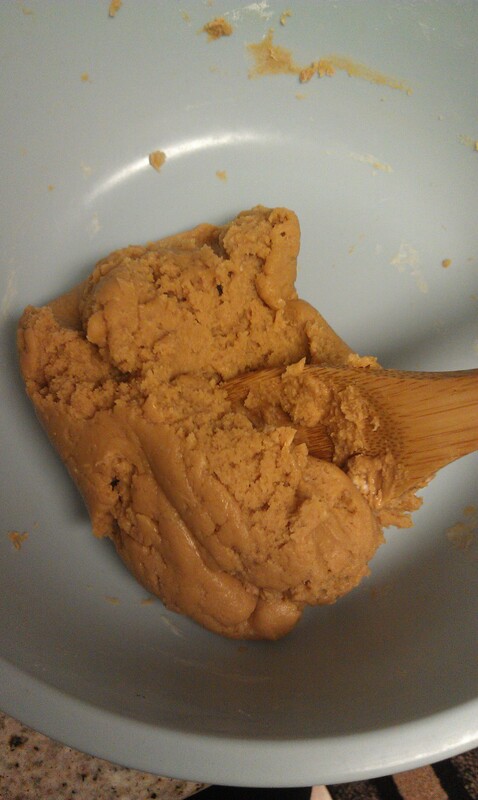 Mix all ingredients into a small bowl until they form a paste. Apply to face in a circular motion until applied evenly on entire face. Let the mask sit for a half hour. Voila! Your skin will feel refreshed, relaxed and bright! Do you want to be a hit at the next party that you host? 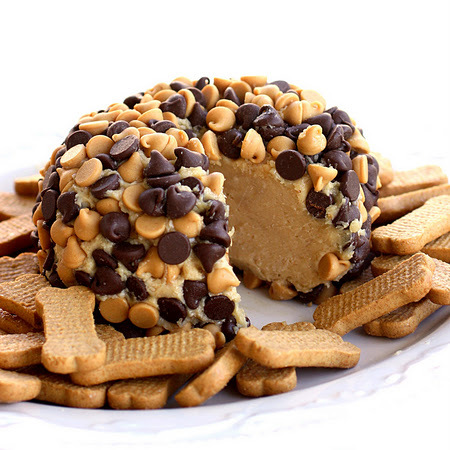 Do you love chocolate and peanut butter together? I found this little slice of heaven while rummaging through Pinterest. Let me give you the ingredients to be the best host with the best treats! This recipe will definitely be the talk of the night! I recently hosted a holiday party and everyone was talking about “the peanut butter stuff.” So.. Good!! 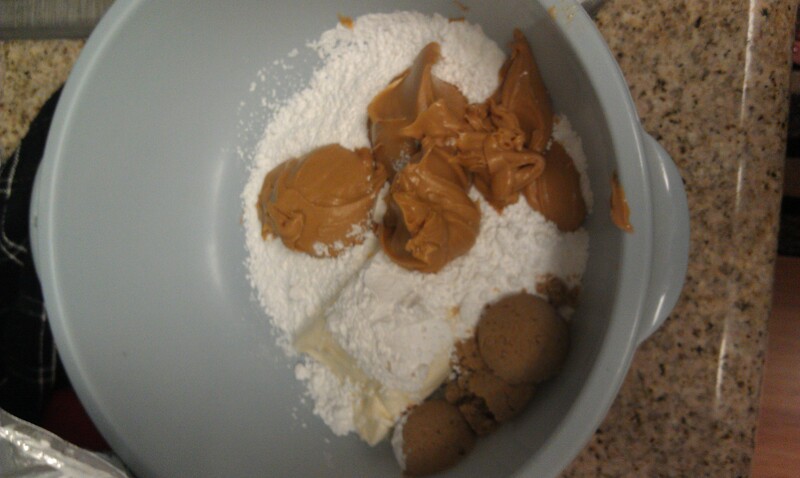 Mix together cream cheese, powdered sugar, peanut butter and brown sugar together in a bowl. I suggest you mix the ingredients with an electric mixer, such as the popular KitchenAid Mixer. I used a spoon and then realized that a KitchenAid Mixer will be my next investment . Once the ingredients are thoroughly mixed together, place onto a sheet of wax paper and pull all 4 corners together. 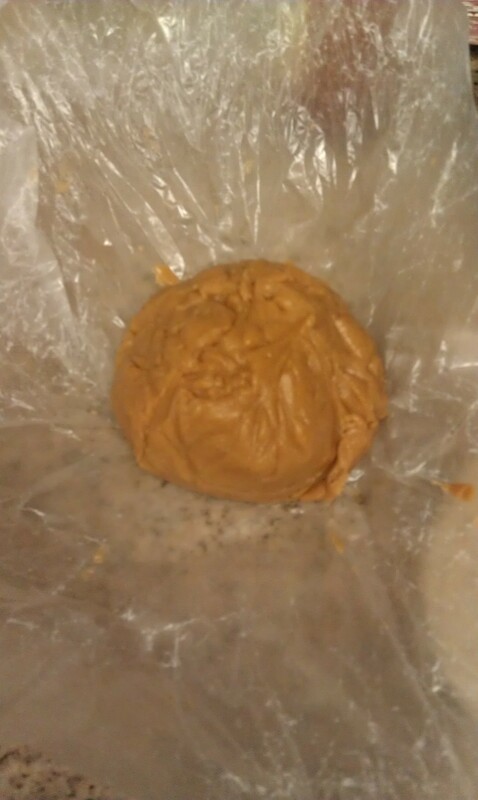 Mold the mixture into the shape of a ball. Fold all 4 corners together and twist so it closes the mixture in and will hold its shape or until firm enough to hold its shape. 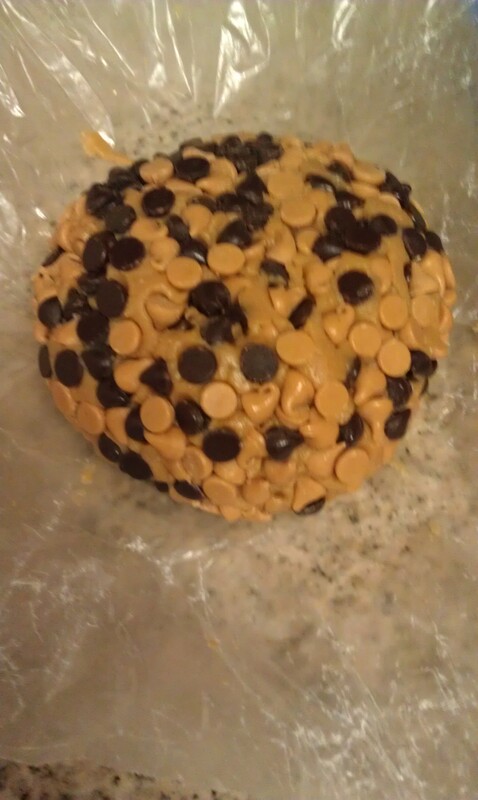 Remove from the freezer and pour the chocolate chips and peanut butter chips onto seperate piece of wax paper. 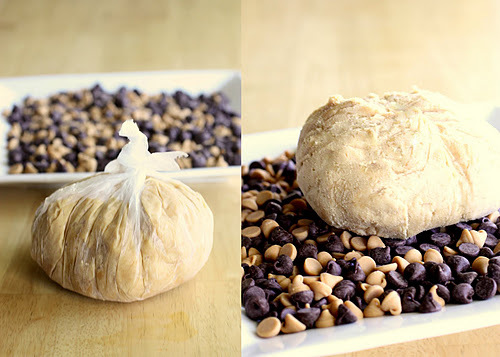 Remove dough mixture from wax paper and roll into chocolate chips and peanut butter chips until fully covered. You may have to press some of the chips into the mixture to get them to stay. Place back in wax paper and into the freezer for an hour or until ready to serve. Place onto serving dish and serve with graham crackers or whatever you choose. In the mood for a fun holiday drink? 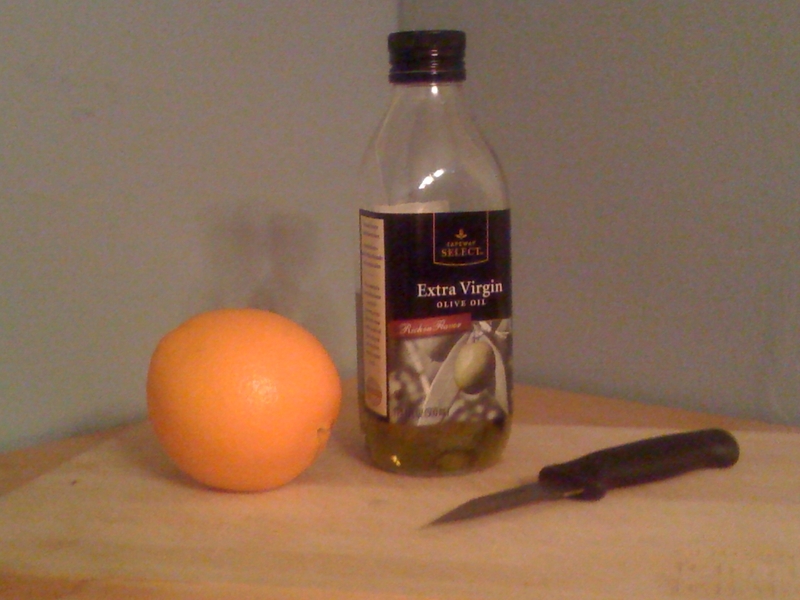 I came up with the following super easy recipe based on what I had on hand! 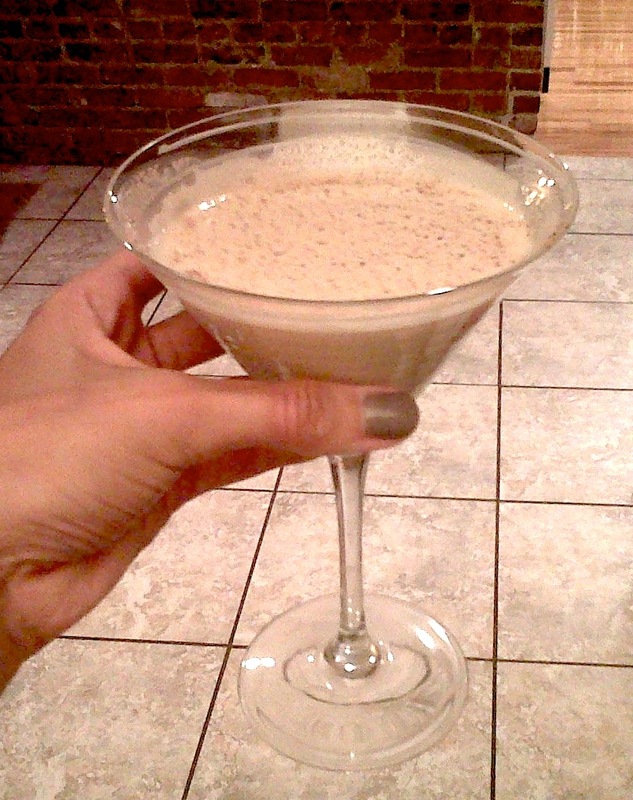 Grab a cocktail shaker (or any large glass) and combine ice, four counts of vodka, three counts of eggnog, and two counts of Kahlua. I consider my “counts” as literally counting the seconds as I pour. So, four counts of vodka translates to pouring vodka for four seconds, counting out loud (tip courtesy of Bethenny Frankel!). Feel free to play around with the ingredient ratio, as each person has different tastes and may prefer their drink slightly tweaked to their liking. Shake shake shake the cocktail shaker (or use a stirrer if using a large glass) until all ingredients are well mixed and chilled. Pour into martini glasses (without the ice) and add a dash of nutmeg on top. I recently found myself in a fashion predicament: a few buttons on my favorite coat popped off. My experience in sewing was limited to my middle school home-ec class, but I was determined to fix my buttons myself without a trip to the local alterations shop. Luckily, I was able to find an easy, step-by-step guide online. The video is easy to follow and sewing the buttons back on my coat was quick and harmless! This is definitely a useful skill you will be able to use again and again in the future. 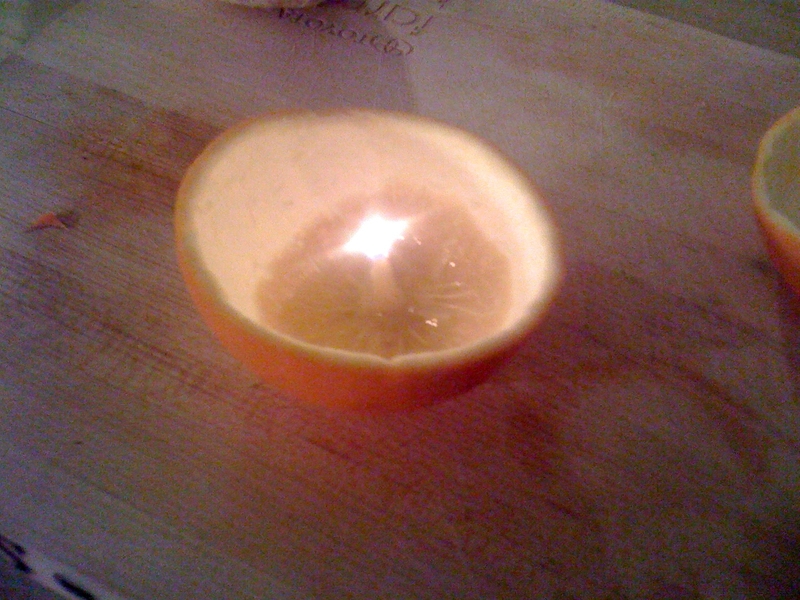 We have been seeing these Clementine Candles popping up all over the place lately. Have they intrigued you as much as they have me? Apartment Therapy and Pinterest have been boasting videos and “How-To’s” for awhile now. After seeing this over and over, I knew I had to try it on my own to see if it worked and was as easy as they say. 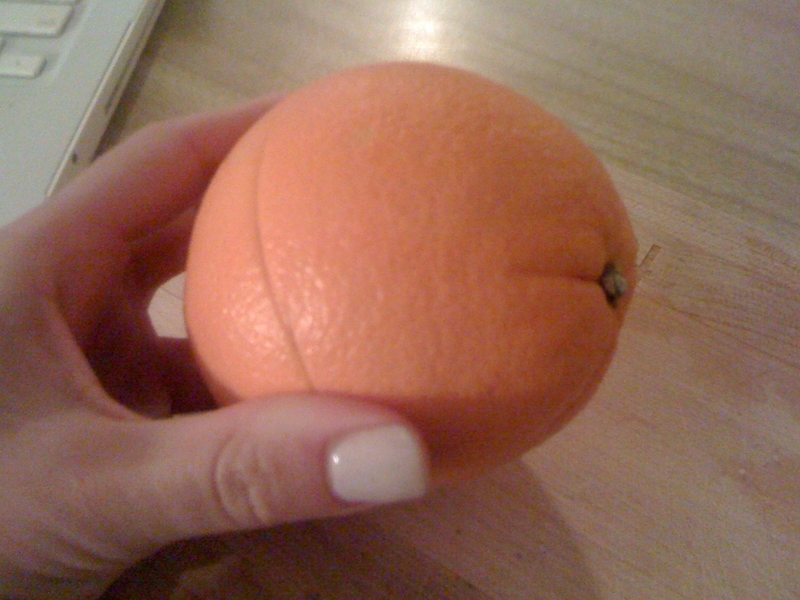 Cut the orange around it’s circumference, careful to only cut through the peel; don’t slice the orange in half. 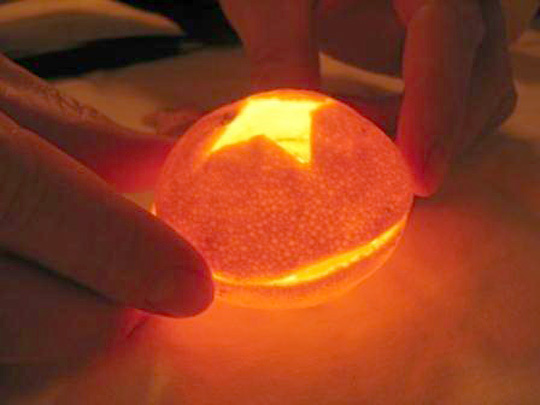 Carefully slide your thumb under the skin, turning the orange and you separate the peel from the fruit. 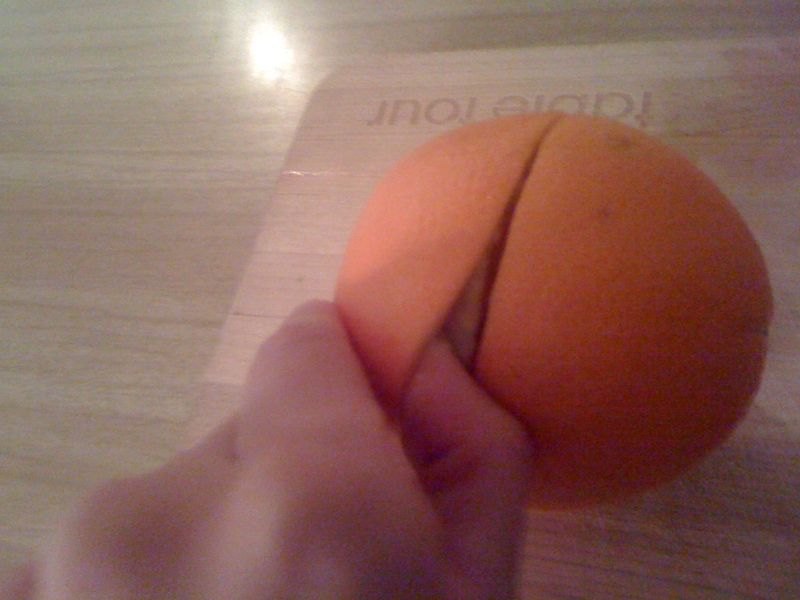 Once the peel is mostly pulled from the fruit, the next step is to completely remove it. 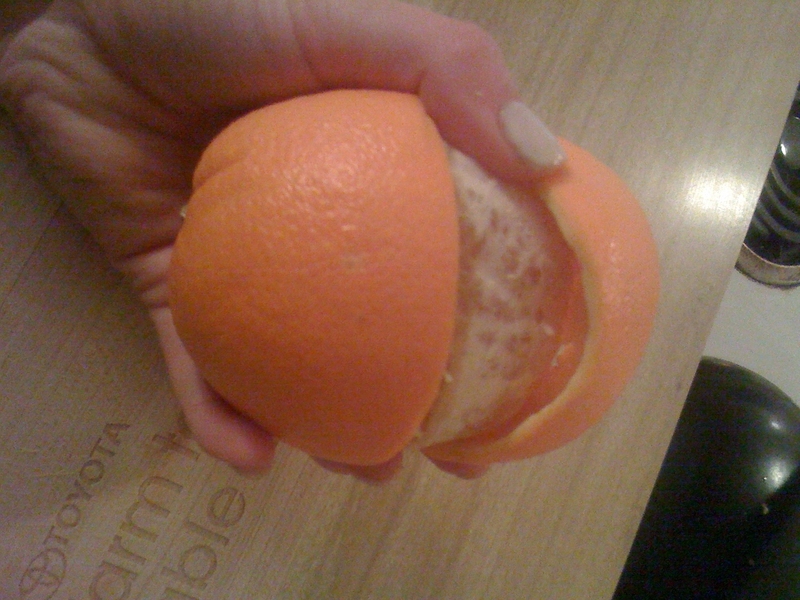 Again, carefully pull each half off. 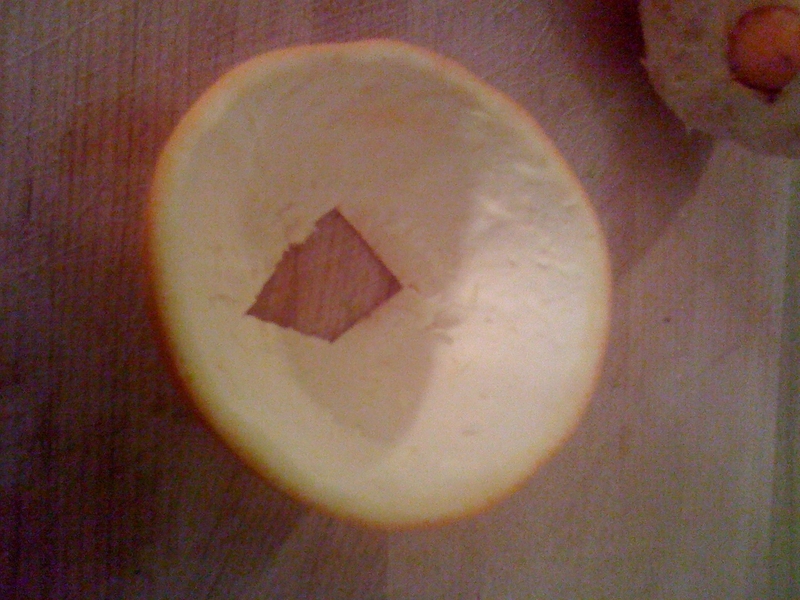 One half will have a hole at the top and the other will contain the white, septum-like part of the peel that goes up through the middle of the orange. IMPORTANT: Do not sever this! You need this septum to act as the wick of the candle and it MUST stay intact. I tried to be fancy by cutting a diamond into the half with the hole. Not much of a success. 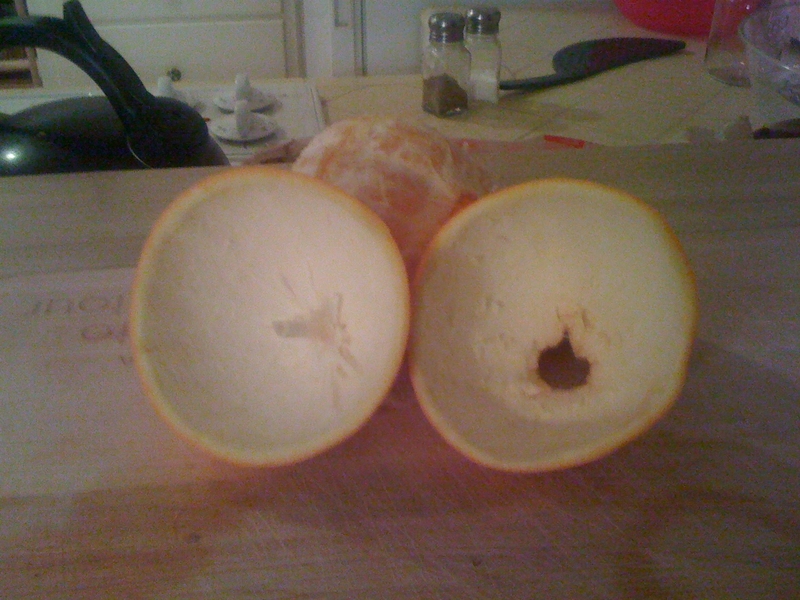 But, it is important that you cut the hole larger as this is where the heat/smoke will escape through. 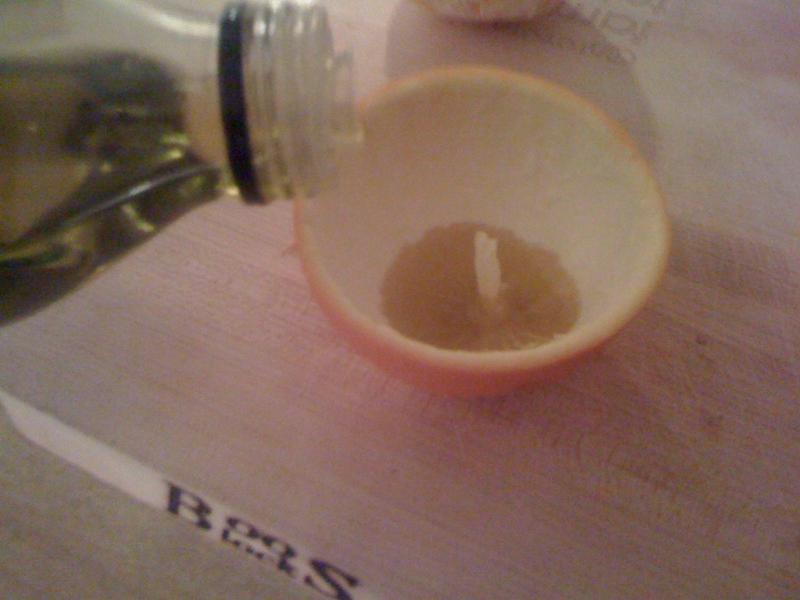 Fill the half with the wick about a quarter full with the olive oil. Make sure to fully saturate the wick. The oil is necessary to keep the candle burning so make sure you have enough but not so much that the wick is submerged. It might take a few tries to get the wick lit. It took me about 3 minutes of constant trying. Don’t give up, it will light! If you are still running into trouble, try to oil up the wick again and then give it another whirl with the fire. 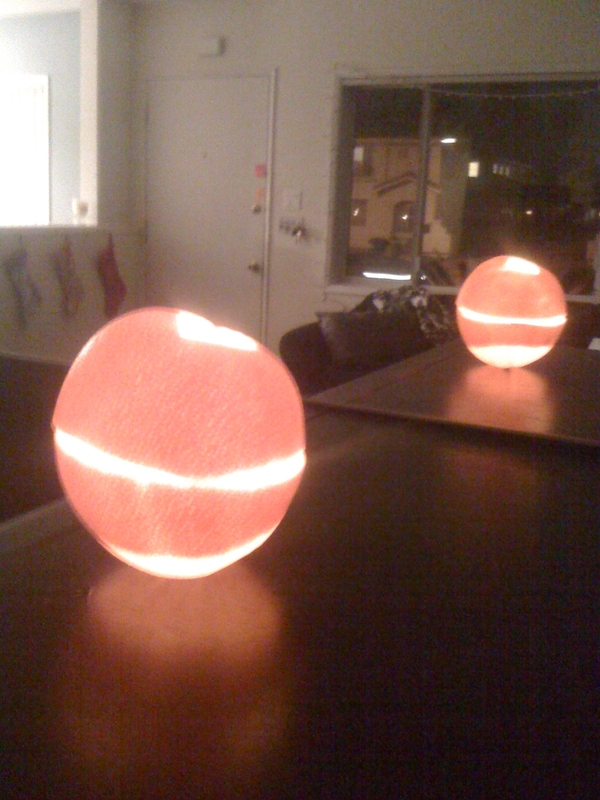 Place the half with the hole on top of the lit portion and Voila! 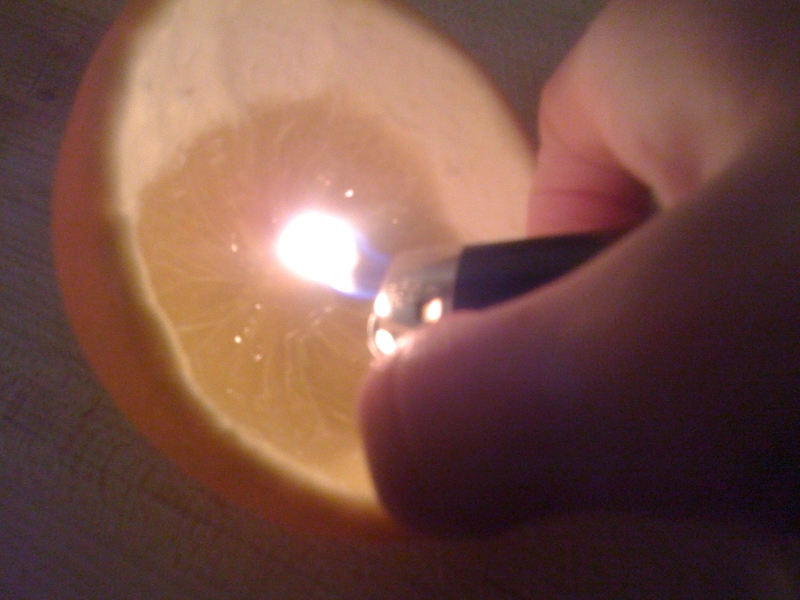 You have an Orange Candle! This candle can only burn while it has oil. Constantly monitor it to make sure there is enough oil to keep it lit! Also, don’t be a fool and walk away; fire does burn houses down, remember? Demonstration Video from Apartment Therapy. Go for a Polish Change! As in nails, not people from Poland! Do you love having natural, manicured nails because for some reason, you can never paint them as well as a professional? Unfortunately, even when painted by a pro, the polish just doesn’t stay on. No matter what, your nails are chipped within days of having them done. 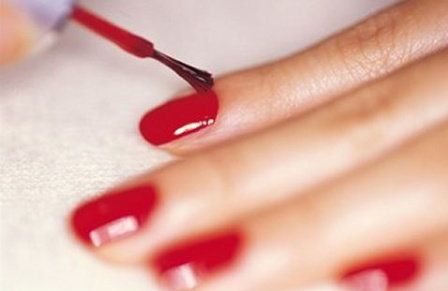 Does this tempt you to go in for a manicure as often as once a week? The bummer is, even the “cheap” express manicures/pedicures can be $15.00-25.00. Solution? Go for a polish change! They aren’t as intensive as the manicure (no cuticle trimming, detailed shaping, or massage) but they will beautifully paint your nails, gloss them up with a good layer of top coat, and some will give some slight nail shaping. You walk out in less than half the time with what looks like a fresh manicure. The golden ticket: most places charge around $5.00! It is a great option for in-between mani’s or when you want to try out a new color on a whim! We all want to have those perfect white teeth. But who can really see themselves spending $50.00 and up for teeth whiteners that can leave your teeth so sensitive you don’t even want to smile? 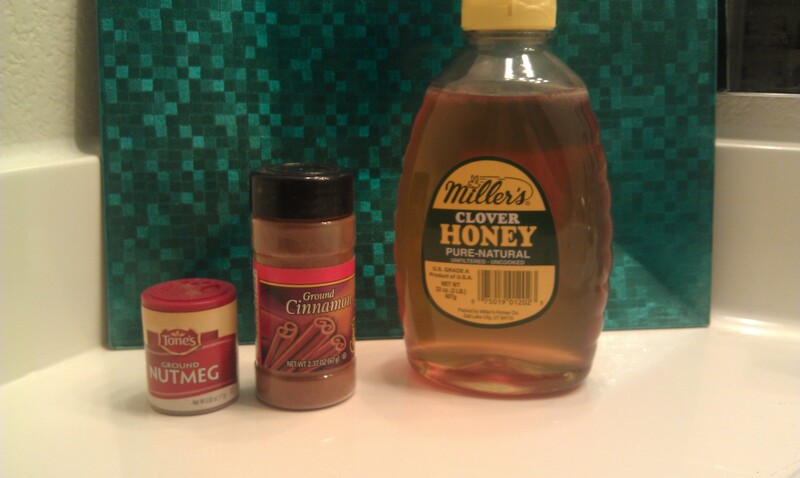 Here is a quick, super easy, and cheap DIY teeth whitener that works just as well! 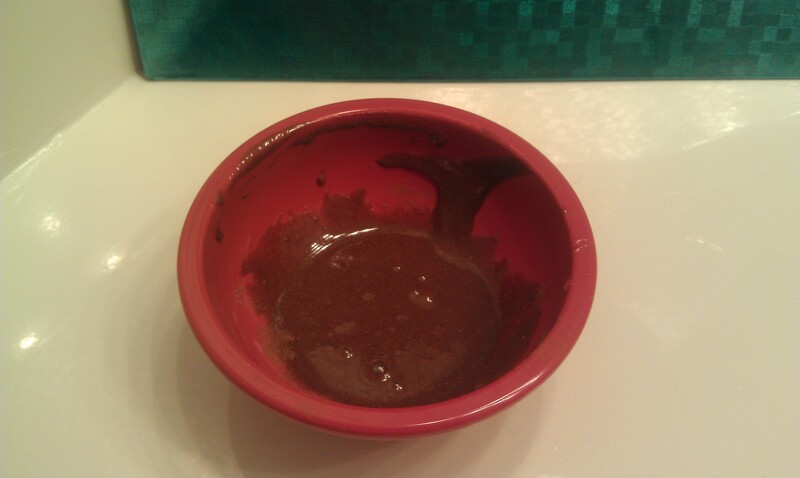 Put a small amount of your toothpaste into the bowl. Mix in baking soda and water. Thoroughly mix together and brush your teeth for two minutes. Repeat once a week until your desired results are reached. Once your teeth are sparkling, make sure you limit the use to once or twice a month.